Enjoying the app? Check out our other apps, too: “Washington Post” for a traditional digital reading experience with all of our content and “Washington Post Print Select” for a magazine-style experience with stunning visuals that’s curated for the most important and interesting stories. 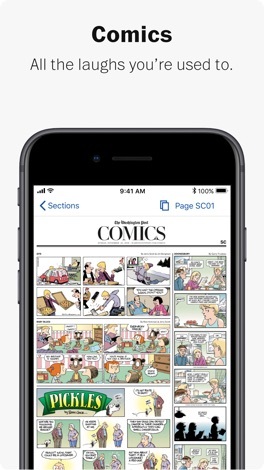 Enjoy a digital replica of each day’s print edition, down to every photo and special insert. Stay informed with award-winning national and international news, as well as complete local news coverage of the D.C. metro area. Read stories wherever you are with convenient offline reading. 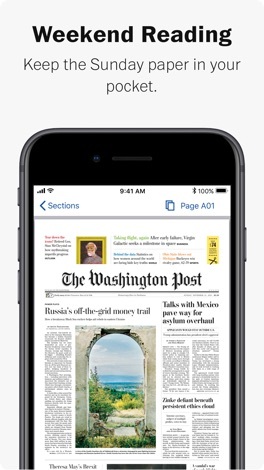 This app brings you everything daily Washington Post readers enjoy—along with extra benefits for added mobile convenience. 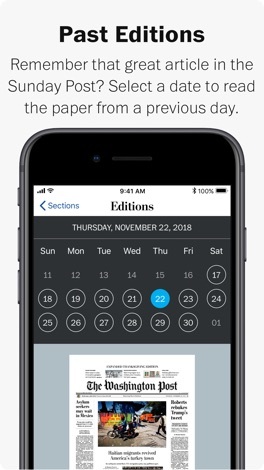 ▪	PRINT EDITION: Flip through The Washington Post right on your iPad and iPhone with our digital replica of each day’s print newspaper. ▪	MY POST: Save your must-read articles for offline reading when it’s convenient for you. ▪	INTELLIGENT DOWNLOADING: We'll learn which sections you read the most, and download them in the background every morning. Don't read a section? We'll keep it off your device to free space, and keep it available if you'd like to read it. ▪	ARCHIVE: Browse the last two weeks of Print Editions. See the top stories and lead images of the day. ▪	OPTIONS: Download the app for free and enjoy a limited number of free stories each month. Get unlimited access for just $14.99/month (first month FREE). 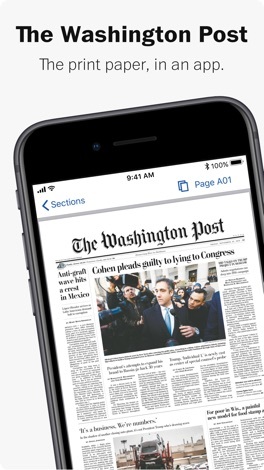 ▪	EXTRAS: Your subscription to The Washington Post comes with complimentary web access, as well as access to The All-New Washington Post App on all your smartphones and tablets. ▪	PAYMENT: Payment will be charged to your iTunes account with the confirmation of your purchase. ▪	AUTO-RENEWAL: Your subscription will auto-renew for $14.99 each month unless you cancel 24 hours before the end of the current subscription period. The auto-renewal can be turned off at any time in the Account Settings section of the App Store. ▪	FREE TRIAL: Any unused portion of a free trial period, if offered, will be forfeited when the user purchases a subscription to that publication, where applicable. Experience The Washington Post in all forms. 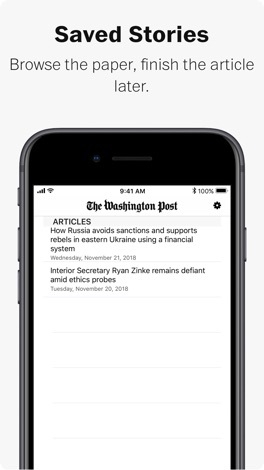 Check out our other apps: “Washington Post” for a traditional digital reading experience with all of our content and “Washington Post Print Select” for a magazine-style experience with stunning visuals that’s curated for the most important and interesting stories. Play this game to improve your brain's flexibility and creativity. blockTONES will train your brain to avoid errors, develop impulse control, and improve creative problem solving. Don't become a blockhead, play blocktones.